With Bi-lateral Buttresses designed for the treatment and prevention of common or acute ankle injuries. Reduces inflammation and swelling of the ankle joint. Provides compressive support. Manages chronic pain from injury or surgery. Suitable for the treatment of sprained or strained tendons/ligaments, sensitive ankle joints, instability of the ankle, and arthritis. 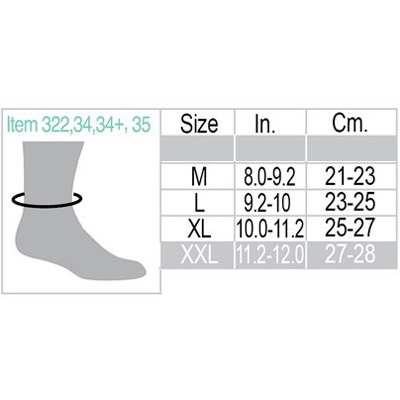 Open heel sleeve shaped as a sock. Fits right or left ankle. 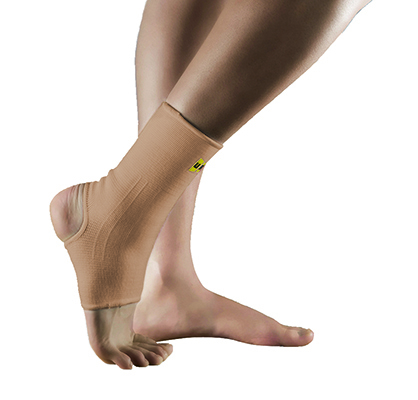 The Ankle Support is easily applied and provides mild protection to the ankle. 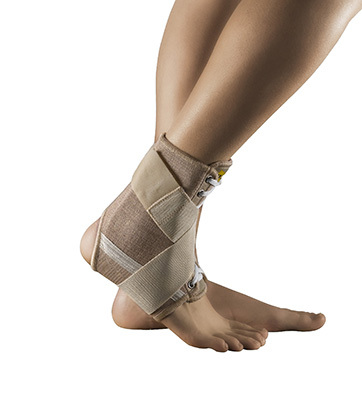 Helps ease painful, tired feet and swollen ankles during sports or everyday activities. Promotes proprioception, which increases stabilization of the ankle joint. 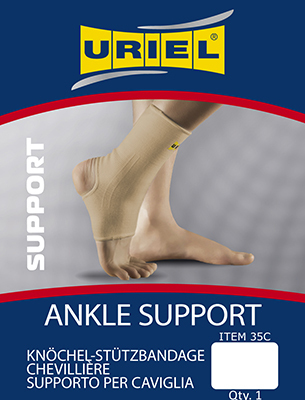 Useful as a support for strained and sprained ligaments. Suitable for the treatment of ankle sprain, ankle pain, foot.